Welcome to our Fantasy Blog page! As many avid sports fans know, fantasy sports are all the rage nowadays but a lot of novice players don't really know the ropes. I started playing fantasy sports four years ago and, like many of you, I got very frustrated by the limited help provided by other sites. Frankly, many of the experts simply got it wrong and torpedoed more than one of my teams before I finally figured out the game. So, now I intend to share my fantasy wisdom with all of you and its all in this special section of www.thebestsportsblog.com. 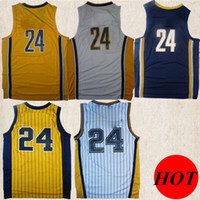 Our site's fantasy section is divided by sport: football, baseball, and basketball are all here! For each, we have a brief explanation of the basic rules and how to play, then a section on basic rules of thumb for which kind of players to target in drafts, and finally my own personal fantasy rankings! Together, these three resources should really help you in your drafts and, as always, it's all free! So, with that, I hope your enjoy and crush your friends in every league! We have added many new, high-quality, articles, mostly about football, basketball and baseball. You can find them simply by navigating the drop-down menus at the top of the site.